For sale through AB 4x4s is a trade in we received from a customer who threw around £2k at it in the last 8 months. We know this as we did all the work.This included head gasket,exhaust,full service and many new parts.Only around 1 month ago we converted it from 24 volts to 12 volts making it easier to work on.During this process we installed a new distributor,carb,leads,plugs etc etc. Petrol engine runs well but carb needs tweeking.Mixture screw needs setting as choke needs to be out half way all the time for it to run well. 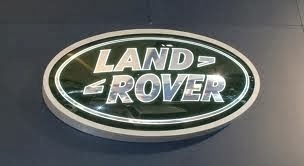 We have no time to play about with it as we restore series landies and are too busy. One other point to mention whereas the gearbox changes smoothly and does not jump out of gears,reverse is noisy and has stayed the same all the time we have worked on it. Selling with no warranty so ebay sale sold as seen. Feel free to contact me for viewing at our premesis. Can arrange delivery if required please ask.